In fact, the question is a bit unfair, because both articles are not directly comparable. When it comes to the marketing aspect of it, of course, Bob is correct. He points out that B2B customers are more sophisticated and shares other characteristics usually not found in B2C customers. So to speak the customer avatars are different, and, therefore, need to be addressed according to their specific background and situation. 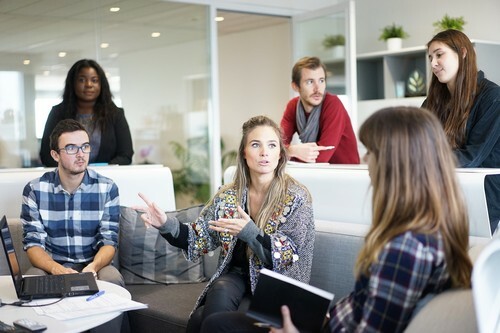 Overall you are marketing and selling to a people. Even in business-2-business sales a person makes the decision and closes the deal with you. I think, that's the main point of Sally's article that you are dealing with living people not with dead entities. 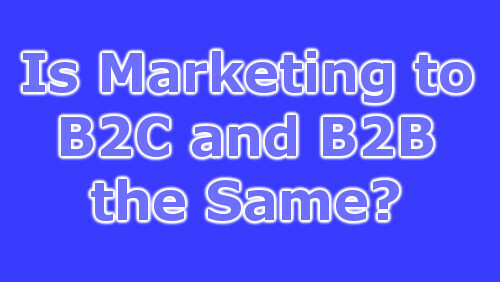 In any case B2C or B2B one is marketing and selling to humans who have certain backgrounds, needs, and wants. Your marketing must reflect the particular circumstances of the people in the market. That's where a customer avatar come in quite handy. Posted by John W. Furst in Advertising, Business Strategy, Marketing, Top Posts on Saturday, February 3, 2018 has got 3 Comments. Due to the latest announcement of changes in regulations for advertisers in the USA, a lot of people talk, write, and speculate about that subject. Disclose the use of affiliate links on your sites and in your social media profiles. Monitor your affiliates and publishers for compliance with the new regulations. Think twice before showing specific results in testimonials. Last but not least don't use fake blogs with made up reviews and those kind of things. You may want to read my entire note. The most important pages to read in the FTC PDF document are pages: 55-81. Advertisements are evaluated from the perspective of a typical consumer. (b) Are there reasons this opinion could have been influenced by the advertiser? (c) What are the results a typical, average customer can expect? Let's not forget, the Internet is more or less a medium without national borders. I mean to say, it is likely that any website targeted to US consumers will effect some of the 500 million consumers in the European union as well. Posted by John W. Furst in Business Strategy, Marketing, Social Media, Top Posts on Wednesday, October 7, 2009 has got 10 Comments.